We provide a range of employment law services for migrants, as well as employers who sponsor migrants for temporary and permanent visas. Are Australian Uber drivers employees or independent contractors? Presently, Australian Uber drivers are engaged under a contract for services, where the driver (the contractor) agrees to provide a specified service to Uber. Under a contract for services, no employment relationship is created between the parties. The advantage to this arrangement is that it provides drivers with the flexibility to work as and when they like. The advantage to the person or business receiving the services is that they can hire the contractor as and when needed and are not required to pay Award rates, leave entitlements, or other entitlements under the Fair Work Act. In a landmark decision, a recent UK employment tribunal held that in the UK, Uber drivers are not self-employed contractors, they are, in fact, employees. As a result, Uber will be required to pay the national minimum wage as well as any holiday entitlements to Uber drivers. We are informed that Uber UK will be appealing this decision. There has been no similar ruling in Australia and, at present, Uber drivers are still considered to be independent contractors. However, in the event that a test case is brought to the Federal Court of Australia, the status of Uber drivers in Australia may change. 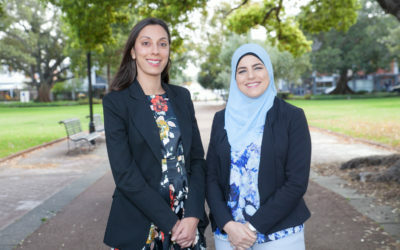 In the decision of Philip Moyle v MSS Security Pty Ltd  FWCFB 372 (3 February 2016), the applicant claimed that he had been unfairly dismissed by his employer as his demotion reduced his wage and removed many of his responsibilities. Nevertheless, he continued to work for his employer at the reduced wage. The applicant made an application to the Fair Work Commission (“FWC”), claiming that he had been unfairly dismissed under section 386 of the Fair Work Act (“FWA”). 2. The employee remains employed with the employer. The onus is on the employer to prove the above 2 requirements. Section 386(2) of the FWA provides other exceptions to when a person has been “dismissed”. Unfortunately the applicant in this case was ultimately unsuccessful as the Full Bench of the FWC also held that his variation in wage and duties was permissible under the terms of his contract of employment (“Contract”). The Contract provided that the employee could be required to carry out a wide range of duties at different sites at a remuneration subject to conditions applying to the duties actually performed from time to time. The Federal Circuit Court of Australia (“the Court”) has found that an employee who was dismissed from his employment during his probation period was eligible to make an application for “dismissal in contravention of a general protection”. The Fair Work Act 2009 (“the Act”) provides protection of certain rights (“workplace rights”) and protection from certain unlawful action. Under section 341(1) of the Act, a “workplace right” includes the right for an employee to make a complaint or inquiry in relation to their employment. The employee claimed that the general protections provision of the Act (section 340) had been contravened by his employer. He alleged he had been dismissed because he made a complaint in relation to his employer. The employee was dismissed 10 days prior to his 3 month probationary period. He was not eligible to make a claim for unfair dismissal, as he had not worked for the employer for at least 6 months. The Court found that one of the reasons for his dismissal was the complaint he made about his supervisor. Therefore, his claim was successful. It was sufficient that the employee’s complaint was one of the reasons for his dismissal. It did not need to be the only reason. The employee may be granted compensation. An amount is yet to be determined. A general protections claim may be available to an employee who is not eligible to make a claim for unfair dismissal. Australian immigration laws are complex and continually changing. Many migrant workers are unsure of their employment law rights, and many employers are unsure of their rights and obligations as a sponsor. Failure to comply with Australian immigration law obligations may result in serious consequences. 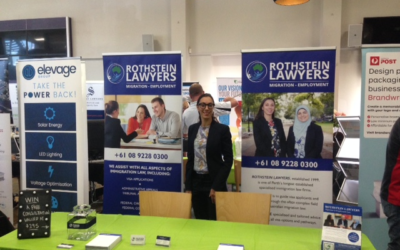 Rothstein Lawyers were present at the Perth Small Business Expo. Thank you to everyone who stopped by to see us at the Perth Small Business Expo on Friday 4 May 2018. We’re here to help you with whatever you may need. We specialise in complex immigration, citizenship applications and appeals. Disclaimer: Information you obtain at this site is general information only and is not legal or migration advice. It does not purport to be comprehensive and is not a substitute for legal advice that evaluates your individual circumstances. Please contact us for advice. Notice: The contents of this site are copyright. Apart from any use as permitted under the Copyright Act 1968, all other rights are reserved. All photographs contained on this site are either taken by the site owner or stock photos purchased from istockphoto.com or thinkstockphotos.com.au and used under the relevant license.